New award-winning dryers from T3 CURA – Art, Food, Travel and Fashion! 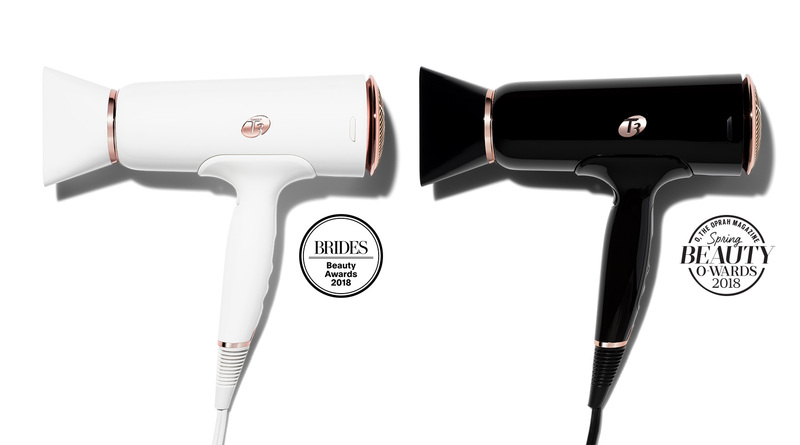 A luxe customisable styling experience for fast, effortless and beautiful results. Winner of three 2018 editorial beauty awards: Oprah Magazine Spring Beauty O-wards, Cosmopolitan Beauty Awards, Ebony Beauty & Grooming Awards. Elevate your styling experience. Powered by T3 Digital IonAir technology, a built-in ion generator and innovative new features, the T3 Cura LUXE delivers healthy beautiful hair in less time. Precise, digitally controlled heat combines with a wide, gentle airstream to expertly dry hair quickly while maintaining body and shine. With a powerful built-in ion generator, negative ions smooth the hair cuticle for soft, frizz-free results. T3 tools are powered by proprietary technologies – drying innovations such as SoftAire and ProAire, fast-styling SinglePass, and shine-enhancing, frizz-defying Tourmaline + Ceramic blends – that reinvent the rituals of beauty by delivering exceptional performance and superior results.